This post is written by Anamika Biswas. Google launched its new browser with a bang. By now there must have millions and billions downloads of the same. Before I could really start with browser I got hooked to its engaging comic- Google Chrome Comic. During our childhood, we all were charmed by comics and their characters. We have admired those fictional characters and their colorful backgrounds. Comics remained as our good companions and entertainers. Even though, the use of comic strips/comic characters for advertisement has received good response. 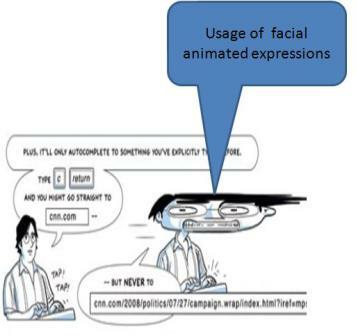 But Google Chrome Comic made a mark on my psyche as Comic strips can be used as an effective educational/tutorial tool. I have read it more than four to five times. Every time I had a different reason to read it: of course, first reading was to understand what this new browser has on offer? Rest of the re-readings was to appreciate the brilliant usage this medium known as Comic. Using symbols/icons to expand the linguistic aspects of the narrative. Hope to see more such unusual mediums to be part of educational/learning tools. Interesting post! Comic strips can and are being creatively used in education. 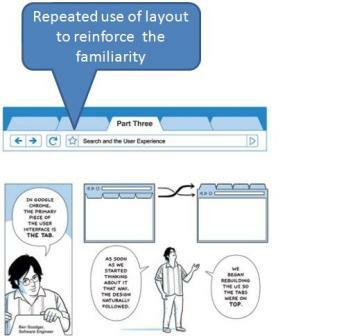 Even before the Google used a comic strip for the chrome tutorial, educators from all over the world were already using comics with learners. ToonDoo is an online comic strip creation tool for anyone to be able to create comics without having to draw. It’s a a great medium being effectively exploited by educators. Do check it out at http://www.toondoo.com. Thanks for your response,Meera! 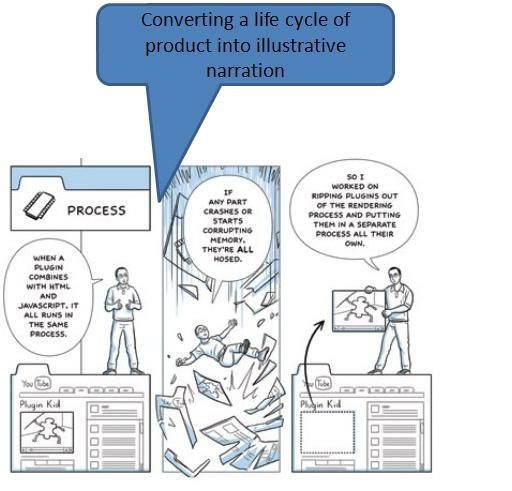 Highlight of the Chrome Comic is not only the direct information/knowledge transfer through comics, Soctt has utilized each and every element of comic to turn into an effective educational tool. As the objective of the comic was to familiarize the reader with the new browser-Chrome so the color combination is restricted to blue and white. 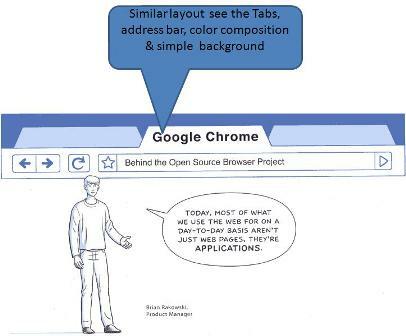 Similarly comic strip panel layout is straight from the chrome tabs. In short, by the time a reader completes reading of the comic, he is quite familiar with the interface of the browser.